Good evening. I was having a wander through your incredible photos today & think I may very well have found a pic of my Mother! I have tried to contact the man (James Thomson) who posted the photo but alas, he is not at that email address anymore. So I am hoping you can help me? They lved in Nuneaton Street. Her parents were Grace Ballentyne & William Dargy Jamieson. Her siblings were Peter, William(Bill), John(Jack) & Jess. I will be ever so grateful to find anything on any one of them! 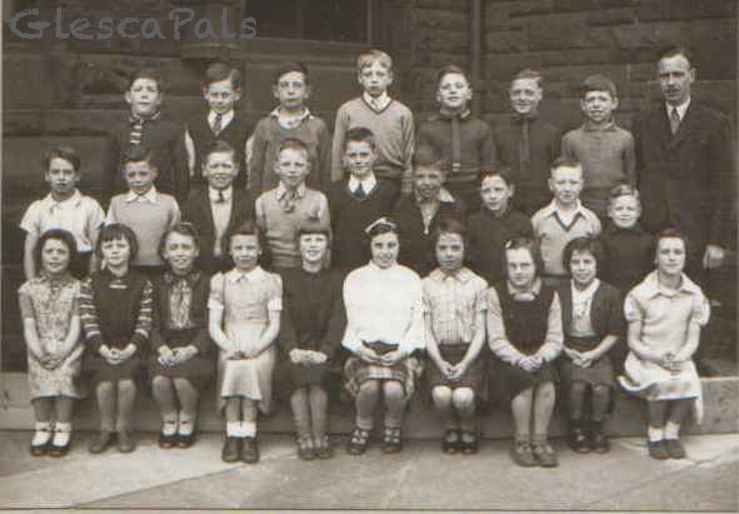 I believe Margaret(Maggie) is 3rd from the right, in the front row. So spot #8 front row?